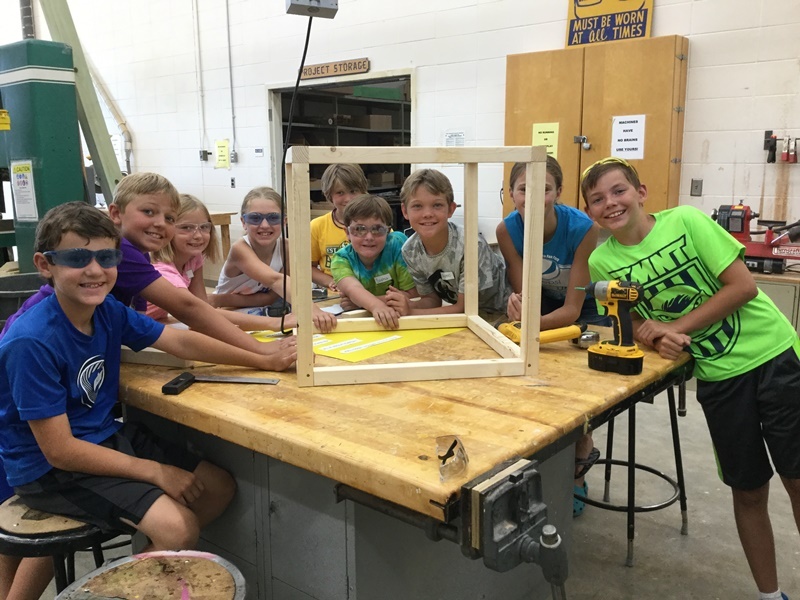 Young children with power tools are not everyone’s idea of a fun time, but for Jodee Lund, technology integration specialist at Minnewaska Area Schools, it was a dream come true. Jodee and colleagues had a vision of creating a makerspace in the school that would inspire their students to design, innovate and create, using technology, machinery, tools and critical thinking skills. 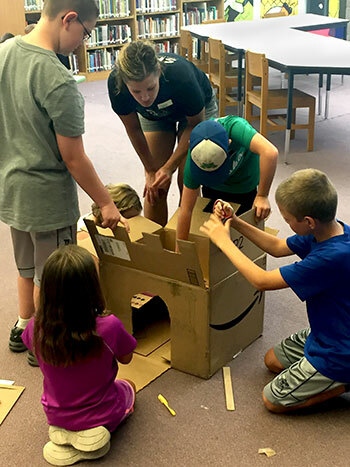 During Maker Camp, held the week of July 31-Aug. 4, more than 50 local elementary children worked together to design and build free little libraries that will be placed throughout the community. The week started with learning design basics then dividing into groups and developing prototypes for the little libraries. The children then voted on their three favorites. 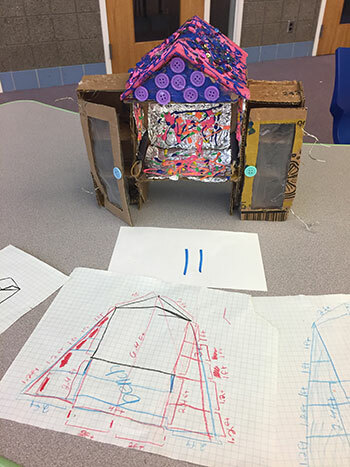 The top vote-getters included a structure with a built-in bench and roof, a gingerbread house and a vending machine design. 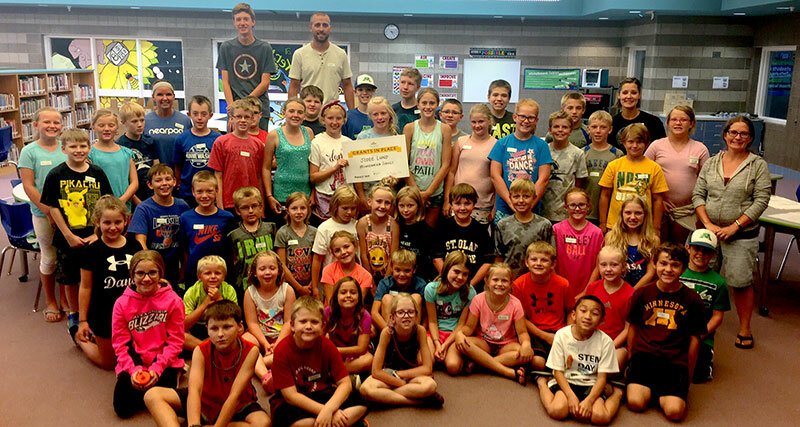 Hilltop Lumber provided the lumber free of charge, and a grant from the Rural Schools Collaborative and West Central Initiative helped with funding the week-long camp. WCI is pleased to partner with the Rural Schools Collaborative to help fund its Grants in Place program that encourages teachers to develop place-based projects that connect students with community. You can learn more at http://ruralschoolscollaborative.org/.